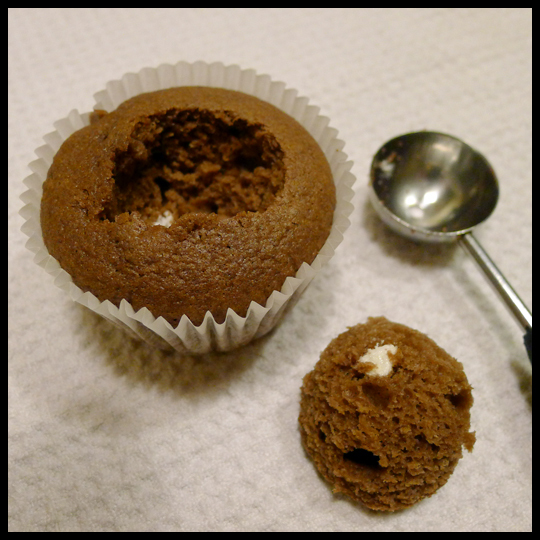 Everyone has different tools and techniques to create a filled cupcake, and we Crusaders thought it might be fun to test different filling tools. Having baked and filled cupcakes for over a year now, you’d think I would have fancy tools to cut out the “plug” (aka the piece of the cupcake that you take out so you can fill it) but I don’t. A small curved pairing knife that my Nona gave me has always been my tool of choice, so this tool test gave me the perfect excuse to buy some fun new kitchen items. After reviewing suggestions from our Facebook page, Crusaders Jenn, Stacy, and I decided which tools we would test, and I set out to bake some cupcakes. 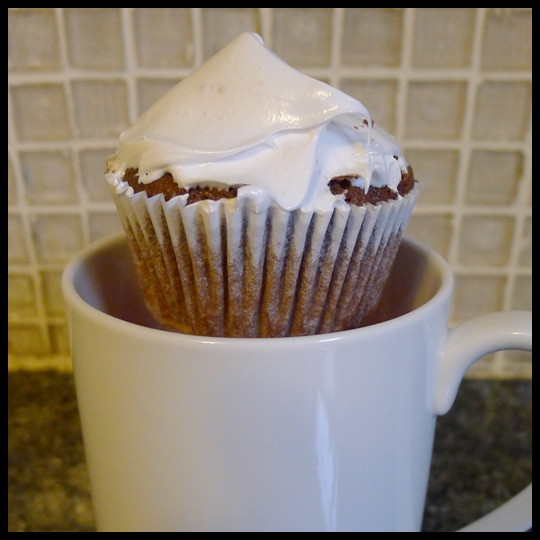 I found the Betty Crocker box of the Hot Chocolate cupcakes (which Crusader Stacy had made and reviewed) for half price and decided to use them for my test cupcakes. Once the cupcakes were baked and cooled it was time to put my tools to the test. While this really did a fantastic job of removing a perfect plug, I think the amount of cake it takes out is too large. It seemed as though there was so little cake left around the edges that it might not stay together when you pulled the wrapper down. If the diameter of the plunger were just a little smaller, this would be the perfect filling tool, especially because the push plunger makes removing the cake plug super easy. I only just got the mini and large scoops for Christmas, so having a chance to use the mini for this tool test was exciting. Sadly, it didn’t work perfectly. You really have to use your fingers to hold the cake while you scoop and then the filling hole it creates is too shallow and wide, again diameter is an issue. Who would have thought, a melon baller?! The melon baller I purchased has two ends, one large, one small, so I used the small one as the test. Similar to the small scoop, I had to use my hand to hold the cake while scooping. This did create a smaller filling area, but still felt a bit too shallow for the perfect filling amount. Not a bad little tool to have though, and now I can make those cute little melon balls this summer. This was an interesting suggestion, but one that worked pretty well. The larger tip easily pushed down into the cake and removed the plug, but getting the cake out of the tip was the harder part. Using a toothpick made it a little easier, but the plug still ended up breaking into two pieces. Not a total tragedy, but not the easiest tool when you have to have another implement to help you clean out the cake plug. I was very skeptical about this, but was also very excited to purchase this tool… and my excitement rose when I used the apple corer to create the filling hole. Not only does the corer cut right through the cake, but because it is has an opening you can push the plug right through the bottom. It creates a very uniform hole and you can also make it as deep as you’d like. This might create a hole that is a little smaller in diameter, but it works very well. Having had lots of practice with this tool, it didn’t fail me in this tool test. What’s nice about cutting the plug out with a little knife is you have complete control over how wide and deep a plug you cut, creating the perfect amount of space for your filling. This might be the simplest tool, but it is still my favorite of the bunch. None of our tools were failures, they all made room for filling, but some did work better than others. 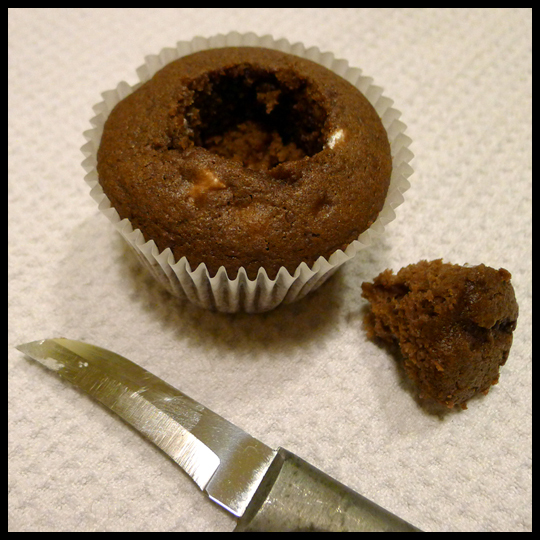 The best tool really does depend on what size you would like the filling hole to be and how much filling you want in the cupcake. Or perhaps you are just set in your ways like me, and prefer using a trusted tool and technique. Either way, I’m looking forward to using all of these tools for other baking and cooking experiments. I’ve already thought of other ways to use the cupcake plunger (cookie cutter anyone?) and can’t wait to core some apples. Next tools to test: what tool to use to put filling into that hole! I use a tiny spoon or a piping bag… but who knows what our readers and followers might suggest! 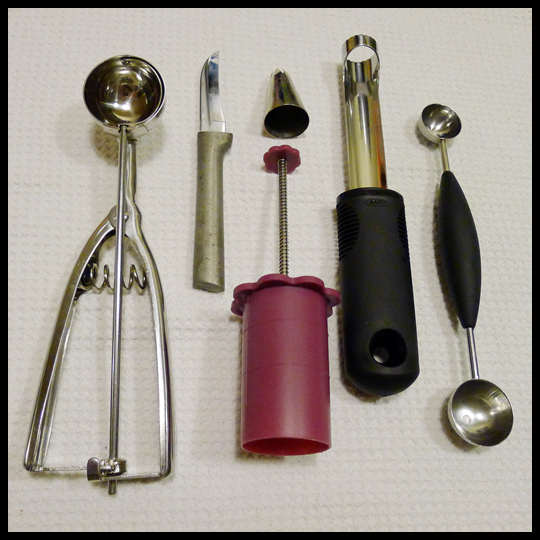 This entry was posted in Baking, Cupcakes and tagged apple corer, Cupake, filling, hot chocolate, marshmallow fluff, melon baller, pairing knife, piping tip, plunger, small scoop, test, tools by Crusader Elisa. Bookmark the permalink. I swear by the Apple corer. It allows me to plunge a small but deep hole for just the perfect amount of filling. It gives a nice cake to filling ratio in my opinion. Unfortunately I can only use it for regular size cupcakes. Nevertheless, I love it. 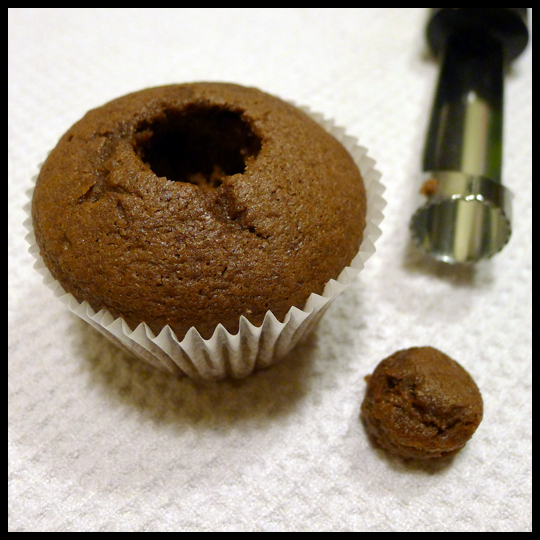 Plus, you can remove the piece of cake from the corer and use it to plug up the filled hole! Love my corer! Great post. 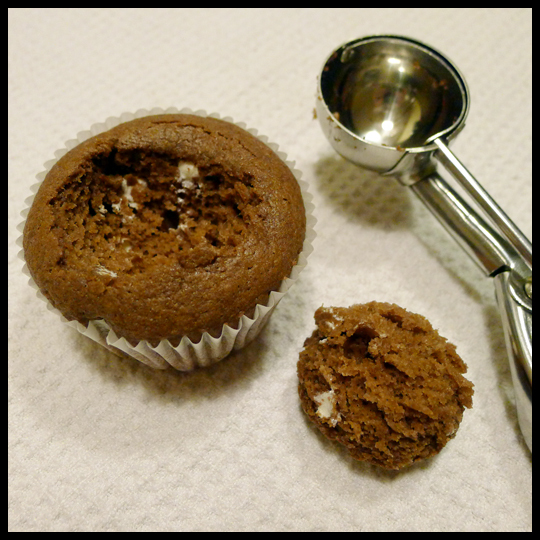 Gives those of us without the cupcake corer some options and how each one turns out. I keep forgetting about the frosting tip trick. I love my apple corer. I bought it at Ikea for about $2.00! 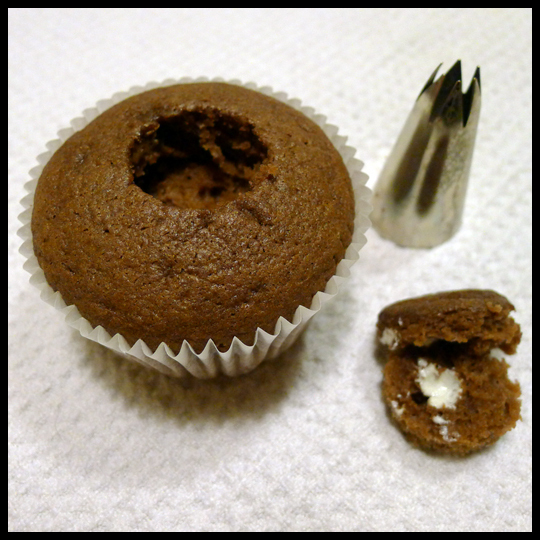 My first tool was the cupcake plunger, but like you, found that it took away too much of the cupcake. My second too was the melon ball, while nice and precise, I had to maneuver the cupcake while extracting the center. 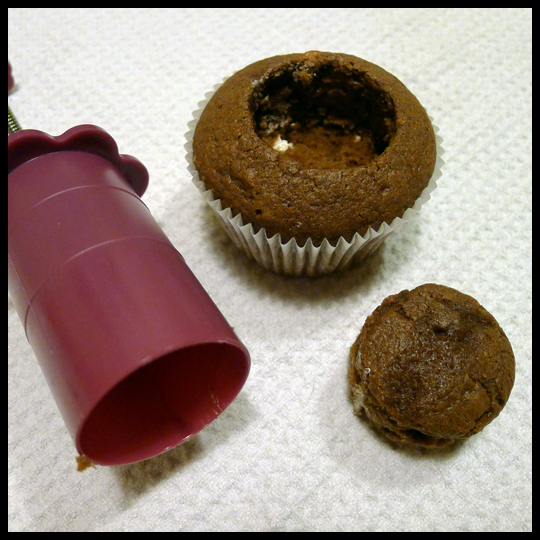 I use the corer with the standard cupcake size and mini cupcakes. The apple corer works like a charm! Some times I don’t even have to hold the cupcake, I just keep it in the mold after it cools. I am curious to see how plugging the hole again works… Thanks for the tips!